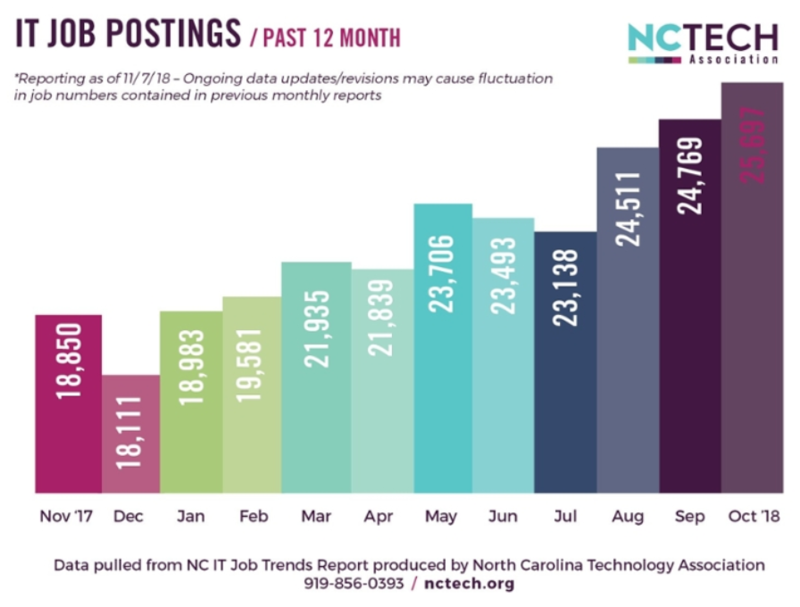 Greene Resources partners with NC TECH to deliver a monthly report on IT Job Trends in North Carolina. This report provides a snapshot of the environment for tech employment using the TalentNeuron tool from Gartner, the world’s leading IT research and advisory firm. IT job postings are broken down into various top ten lists, including skills, jobs, employers, and regions. A rolling 12-month chart reflects the trend in job openings over the previous year. This month boasts the highest number of jobs this year. “Hiring continues to come from a wide swath of employers, with half of the top ten hirers of tech talent being non-tech companies,” noted Brooks Raiford, CEO and President of NC TECH. Read the full report to get more insight into the most recent numbers and up-and-coming IT trends.